Network, your next big storage problem! In a couple of my latest articles (here and here) I talked about why many large IT organizations prefer PODs to other topologies for their datacenters but I totally forgot to talk about networking (I also have to admit that networking is not my field at all). So, this article could be the right follow-up for those posts. There’s a lot of technology in IT that doesn’t simply die. Instead, it grows, peaks, then slowly (or perhaps very slowly) fades. Consider Unix/RISC. What is NVMe? And what does it mean for PCIe-SSD? There are two constants in data center storage; the need for greater performance and the need for greater capacity. Flash based storage devices have become the go-to option to address the first challenge. But application owners and users quickly move from an initial euphoria with flash performance to demanding more. Since the flash NAND is essentially the constant in the equation, the surrounding infrastructure has to evolve to extract optimal performance from the technology. But achieving maximum performance often leads to proprietary architectures and designs. NVMe (Non Volatile Memory) is a new industry standard that enables data centers to realize full flash potential without compatibility headaches. Data centers have to meet the increasing performance demands of scale out databases, big data analytics, and dense virtual environments. These data centers need to meet these demands without requiring more data center floor space or consuming more power. All-flash arrays seem to be the “default” answer to today’s storage performance problems. But all of these systems are not created equal. How the all-flash hardware and software are designed, and how these two components work together, will impact short-term results and long-term potential of the flash investment. A recent Storage Switzerland report covered the basics of Docker and Storage; what Docker is and how it impacts storage. Container technology and Docker specifically places unique demands on the storage infrastructure that most legacy storage architectures are ill-prepared to handle. The initial concern is developing a storage infrastructure that will support a container based dev/ops environment. The second concern is that these infrastructures will have to support containers in production as the value of something more granular than a virtual machine (VM) is understood. 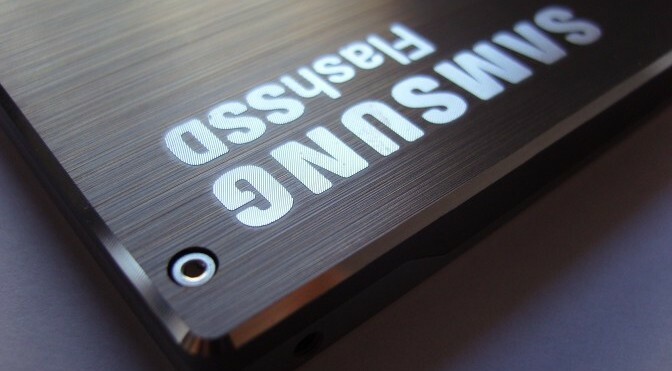 Not just the world’s highest capacity SSD, but the world’s highest capacity drive of any type. The PM1633 uses Samsung’s new 48 layer V-NAND, itself a technical tour-de-force, and represents a new thrust in flash storage beyond performance: capacity.